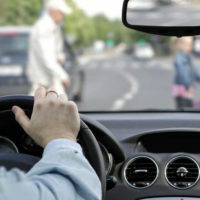 Every year, over 60,000 pedestrians are injured and 4,000 killed in car accidents. A pedestrian is injured every eight minutes and is killed every 113 minutes. Individuals most likely to be hit in pedestrian car accident cases include children, elderly individuals, and people of lower socioeconomic status. Pedestrian accidents are a lot more common than most people think. They are also extremely devastating. Pedestrian accident injuries often result in bone fractures and breaks, lacerations, spinal cord damage, and other life-altering and costly injuries. For this reason, accident victims should always consult with a pedestrian accidents attorney regarding the possibility of obtaining compensation from the liable party. If you or a loved one was injured in a pedestrian car accident, contact the Miami pedestrian accident lawyers at Spencer Morgan Law to discuss your case today. Many head and neck injuries often result in life-altering or life-threatening conditions. If a victim does not die as a result of his or her injuries, he or she may require ongoing physical therapy and spinal care. The right attorney can help you fight for the damages you need to fund ongoing medical care and the costs of rehabilitation. Though lower extremity injuries do not often result in life-threatening complications, they often require ongoing physical therapy, surgery, and other medical care. If you sustained lower extremity injuries in a pedestrian accident, you should not be held accountable for your medical bills. If a pedestrian is thrown over a vehicle or lands on the windshield or hood, he or she may sustain damage to the upper extremities as well as to the head, neck, or facial regions. Approximately 30 percent of pedestrian accidents result in upper extremity injuries, which often manifest themselves in the form of bone fractures and breaks to the arms, hands, wrists, and rib cage. If damage happens to the abdomen or chest, internal organs may be at risk. If you or a loved one was injured in a pedestrian accident in Miami, you should not be held liable the medical bills and lost wages likely to arise from your injuries. Our team at Spencer Morgan Law will fight on your behalf to ensure that you are not. Contact our law firm today to discuss your case and possible options for recovery.